This post is located in the Office of the UN High Commissioner for Human Rights. The incumbent will work in the Human Rights Treaties Division (HRTD), under the general supervision of the Director of the Human Rights Treaties Division and the direct supervision of the Chief of the Petitions and Inquires Section of HRTD. 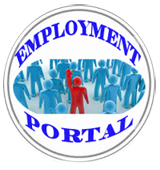 This post is located within the Information and Communication Technology Division, (ICTD) of the Economic and Social Commission for Western Asia. The Director, ICTD reports directly to the Executive Secretary. This vacancy is issued for roster purposes. The United Nations Office for the Coordination of Humanitarian Affairs, through its roster program, will preselect qualified and suitable individuals and deploy them to field assignments across the globe in accordance with operational requirements. The following is potential duty stations (all non-family duty stations): Afghanistan, Cote d'Ivoire, Democratic Republic of the Congo, Haiti and Pakistan, among others. The Head of OCHA Field Office directly reports to the UN Resident Coordinator/Humanitarian Coordinator under the overall leadership of the Director of the Coordination and Response Division of OCHA. The mandate of the United Nations Economic and Social Commission for Asia and the Pacific (ESCAP) is to promote regional cooperation for inclusive economic and social development in the Asian and Pacific region. ESCAP’s role as a regional development arm of the United Nations Secretariat is to support its membership, through its analytical, normative and technical cooperation, to respond to the development priorities and changing needs of the Asian and Pacific region. This position is located in the Al-Qaida/Taliban Sanctions Monitoring Team, which is a Special Political Mission administered and supported by the Department of Political Affairs. Administratively, the incumbent reports to the Chief of the Security Council Subsidiary Organs Branch, while substantively the incumbent works under the direction and reports to the Coordinator of the Monitoring Team. The position is located in the Office for the Coordination of Humanitarian Affairs (OCHA) in New York. The incumbent reports to the Section Chief of the Asia-Pacific Section. This position is located in the Office for the Coordination of Humanitarian Affairs (OCHA), Kabul, Afghanistan. The Programme Officer reports to the Head of Office, OCHA Afghanistan. The United Nations Project Office on Governance (UNPOG) was established in June 2006 with the mission of promoting participatory, transparent and effective governance worldwide. Under the auspices of the UN Department of Economic Social Affairs, UNPOG’s particular role is to assist Member States in achieving internationally agreed development goals through research and knowledge sharing. The activities of UNPOG are clustered into the following three components: Research and Policy Development, Advocacy and Outreach and Capacity Development. To develop and implement strategic and operational objectives for a new Etihad Airways Contact centre in Manchester in line with overall Etihad business strategy; to ensure efficient operations in the contact center; to ensure optimized revenue generation and consistently high levels of service quality in all its diversified activities. You will be responsible to perform maintenance activities and certification in accordance with EY authorization, supervise technicians on all aspects of maintenance carried out on aircraft(s) ensuring compliance with all applicable standards and relevant technical data to optimize serviceability of aircraft(s) and support operational schedules. Integrate technical and application components to meet business requirements. Design, code and test program modules that meet design specifications. Maintain, tune and repair applications in order to keep them performing according to technical and functional specifications; perform preventive maintenance activities; provide user support. A Team Lead leads the designing, coding, enhancing and testing of software applications to meet business process requirements. A Team Lead applies functional knowledge and technical expertise in the implementation of configuration changes and maintenance of software applications. A Team Lead has some oversight responsibility for the technology solution and assists in the development of the team. Engaged in developing and training on DB design standard, templates, guidelines/checklists and tools. Advocate and support the adoption of global standard architecture and tool set. Accenture Technology Solutions is a wholly-owned subsidiary of Accenture that employs technology enthusiasts who focus on application development, systems administration work, and software maintenance – providing practical programming and technology implementation for business. An Analyst Programmer/Senior Software Engineer contributes to the development, delivery and maintenance of technology-based business solutions. An Analyst Programmer/Senior Software Engineer is skilled in designing, coding, testing, and implementation of configuration changes to software applications to meet both functional and technical requirements. An Analyst Programmer/Senior Software Engineer may have some oversight responsibility for the technology solution and may assist in the development of the team. Accenture Technology Solutions is a wholly-owned subsidiary of Accenture that employs technology enthusiasts who focus on application development, systems administration work, and software maintenance - providing practical programming and technology implementation for business. Accenture Delivery Centre (Dalian, Shanghai, Guangzhou) for Technology is a global company comprised of technology enthusiasts who focus on delivering deep IT expertise to clients. We provide practical programming and technology implementation for our clients, including architecting solutions, application development and software maintenance. Some of the world's best known brands and biggest companies turn to Accenture for help with their most difficult technology challenges, and Accenture Delivery Centre (Dalian, Shanghai, Guangzhou) for Technology provides the practical answers. The work we do is not only important, it also has a noticeable impact. The results can be seen changing everyday life for people all around us. If you join Accenture you can make great ideas happen for some of Israel and the world's most dynamic companies. With broad global resources and deep technical know-how, we collaborate with clients to cultivate ideas and deliver results. Choose a career at Accenture and enjoy an innovative environment where challenging and interesting work is part of daily life.